Ok, some truth right up front. Disneyland is just plain expensive. If you live close and don't need a hotel, that helps. 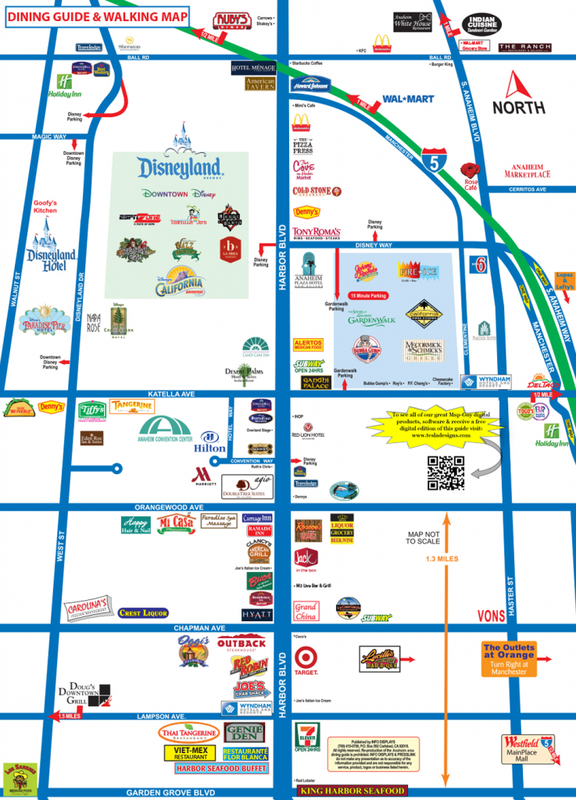 If you have parking included on your annual pass, that helps. But no matter how you slice it, its never cheap. So today we want to give you some of our favorite tips on where to save money and where its worth it to splurge. This is our specialty. 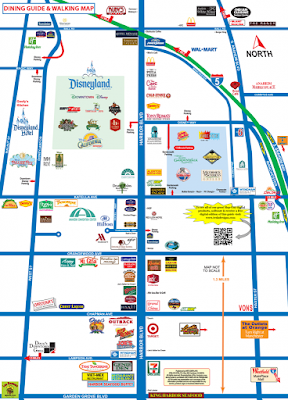 Going to Disneyland in itself is a splurge, so we're ready to save wherever possible! I don't know about you, but I don't spend much time in my hotel room. I can swim at home. I'm here for Disneyland! So my favorite way to save is by staying at a non-Disney hotel. I love any of the ones on Harbor Blvd. that are in walking distance to the pedestrian entrance. You can find some GREAT deals. I'm going next month and am averaging only $100 per night. I don't worry about parking, they're all clean, some even include breakfast (which is nice if you're going off season and the park opens on the later side). Feel free to send us a Facebook message for more detailed hotel recommendations! I love wearing Disney clothes to Disneyland...its actually a "must do" for me. I also love wearing them at home too! But clothes AT Disneyland are pretty pricey. I tend to go to Target, Ross, or even the Disney Store when they're having a sale to get really cute shirts for $10 or less! I've even been known to make Disney shirts when the spirit moves me. **HOWEVER! 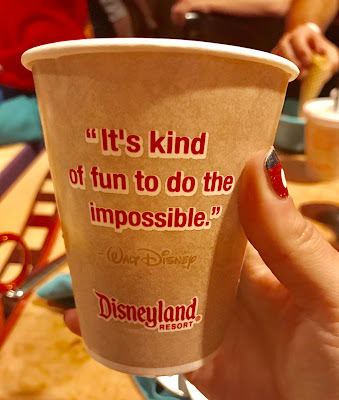 If its important to you to have something that says DisneyLAND on it or that has a picture of the castle or something like that, then we completely change our minds and say go for it! If you like to munch a lot during the day or have little kids who seem to always need to eat, a great money saver is packing your own snacks. My backpack is usually full of granola bars, fruit snacks, little cereal boxes, and other munchies that I can buy cheap at home and bring with me every day so that I can save my food budget for the good stuff (and not waste it on chips or a $4 banana). 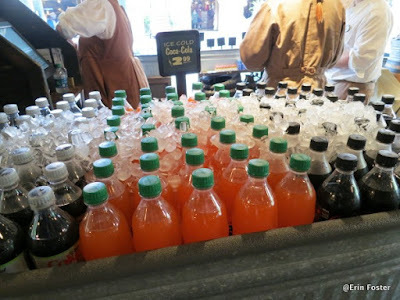 Soda prices are ridiculous at the restaurants and especially for the bottles at the carts. Bring soda and water bottles from home (or even from the Target in Anaheim if you don't want to have to pack them). Personally, I wear a Camelback backpack every time I go to Disneyland. There's plenty of room to hold our snacks and extra clothes for the kids, PLUS it holds 2-3 liters of water (or sometimes, lemonade!) so we can drink that all day long and save a lot. I say some, because like our tip with the clothes it really depends on what you're looking for. Disney toys are everywhere. Sometimes to get ready for a trip, I get my kids little Cars toys that they can play with on the drive down or while waiting in lines. They're like $3. Disney mugs, movies, and even candies can also be found all over. Don't buy them at "park prices" if you don't have to! 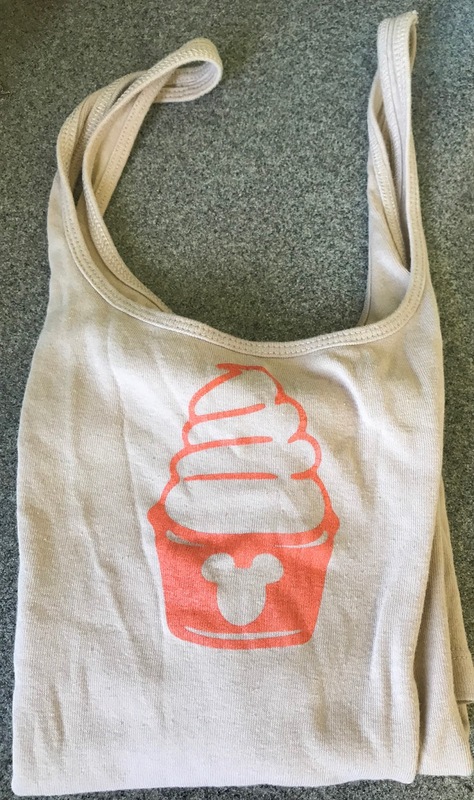 A Disneyland fan/water bottle is $25....please, just don't. Here's where I'd rather spend to get a little bit more. The things you can't get anywhere else! 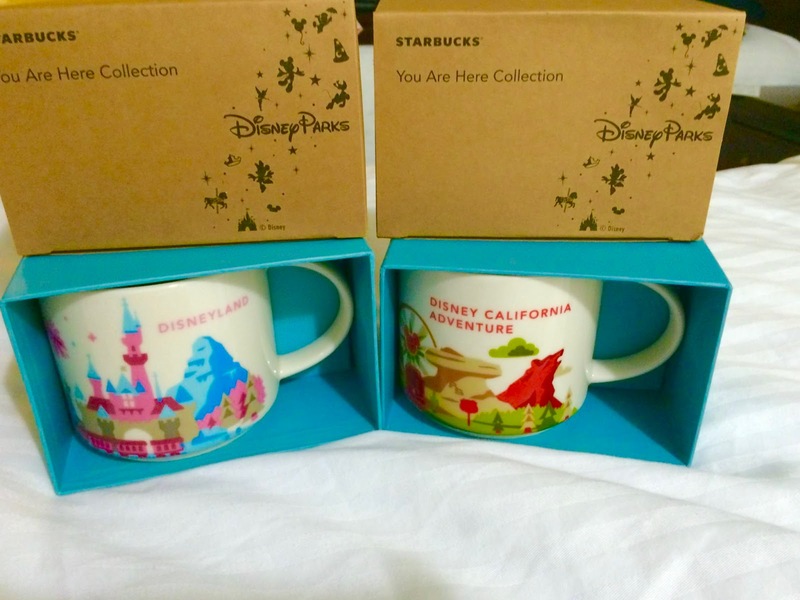 The "You Are Here" collection mugs from Starbucks, castle tshirts, special Disney Vacation picture frames. These are the things you'll cherish from your trip and know you may have spent a little more but you got something special. Do it right! 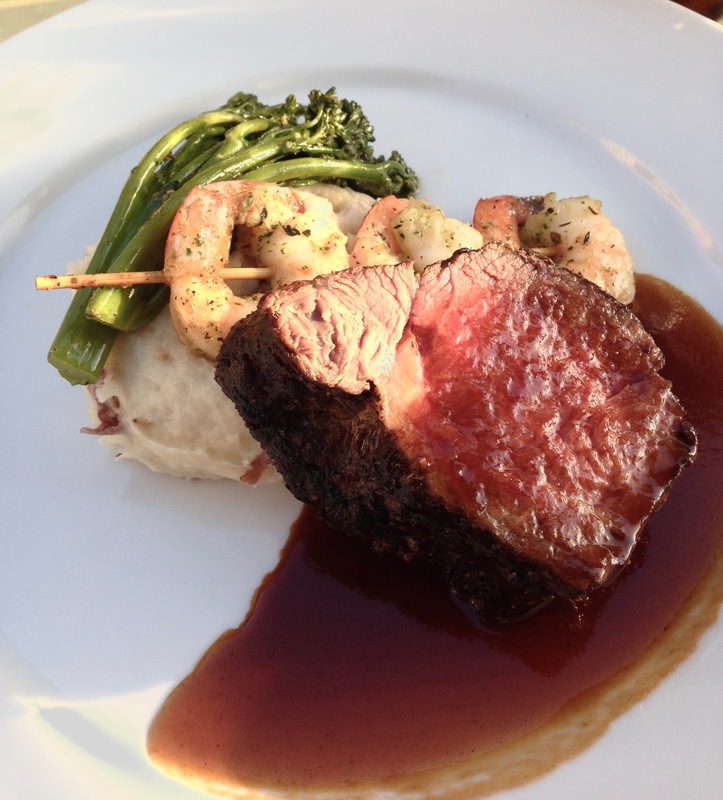 Enjoy a great meal. Skip the overpriced hot dogs and hamburgers and go to one of the fantastic restaurants in the park. Sit down or quick service, doesn't matter. The Plaza Inn's fried chicken is incredible, Rancho del Zocalo has my all time favorite taco salad in a huge fried bowl, Cafe Orleans has pomme frites that you'll just want to inhale! This is a new splurge for my family. Get the Starbucks on your way in to the park so you don't have to drink the coffee from the machines at the breakfast restaurants (Tomorrowland Terrace, Rancho del Zocalo, I'm looking at you!). Its bad. So bad (although check out that cute cup above!). 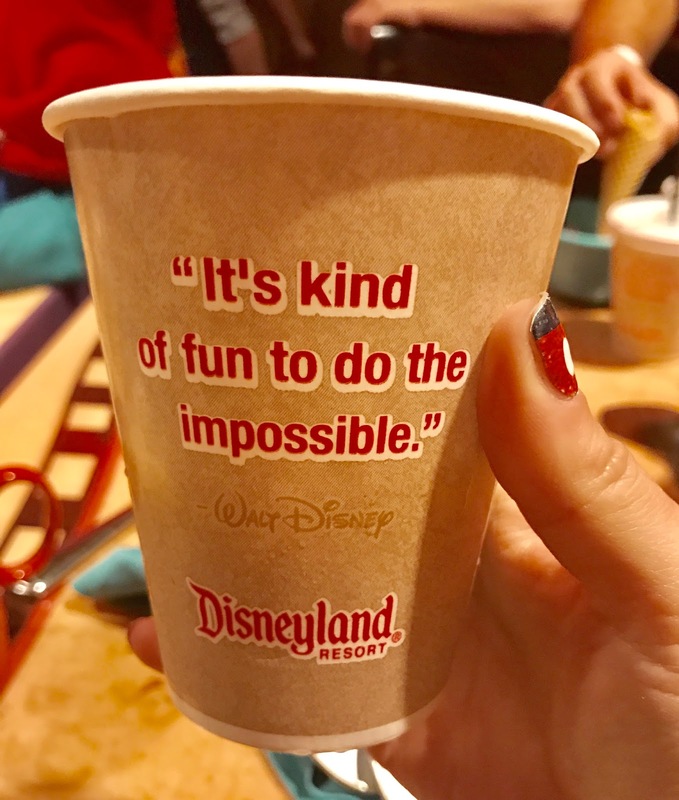 If you're not a Starbucks fan, there's the Jolly Holiday on Main Street in Disneyland Park and the coffee cart by the entrance to Paradise Pier in California Adventure - both serve specialty coffees. I like to splurge on one treat (ok, sometimes two) each day. Some of them just can't be beat or found anywhere else. The Matterhorn Macaroon at the Jolly Holiday is a one of a kind that you won't regret. Obviously, we recommend the Dole Whip! Plus the huge and adorable caramel apples, homemade fudge, and disney cake pops that can be found in the candy shops. If you're not in the mood for sweets, the skewers at Bengal BBQ or twists at Maurice's Treats can't be beat! If this is your big trip, spend on experience you might not get to have again! Maybe its a special tour, or reserved seating for a show, but keep an eye out for something that's going to make your trip extra magical. There are some places where we just can't decide if we should spend or splurge. What would you do? This is still new to us. As of this point, we haven't used it yet. For $10 per person per day, you can make your fast pass reservations from your phone, rather than going to the kiosk in person. I'm honestly so undecided! I can see the benefit of it, but I can also see saving $40 a day for my family of 4. We here at Dole Whip A Day actually disagree on this one. One of us sees it as totally worth the extra price to have the freedom to spend as much or as little time in each park as we feel like. The other one likes having a dedicated day (or more!) in each park and also saving quite a bit on ticket prices. What's your vote? I'd say I'm surprised to see this post...but I'm not! I got a heads up that it was coming...but I do have to say you work fast, DoleWhipperSnapper! Haha, once I get an idea for a blog, I move! I recently had a friend try out the Max Pass for the first time and she absolutely loved it and recommends it to everyone! But it also kind of goes hand in hand with a park hopper pass since the trek for fast passes between the parks is now eliminated :) so I guess it again depends on how much you're willing to spend, but from what I've heard it's totally worth the little extra money! Especially considering the possibility that the $10 extra per person may go up in the future if the Max Pass popularity booms!